A contoured slat seat and ladder style back make this classic rocking chair a timeless choice for your indoor or outdoor decor. Perfect on a front porch or patio, the rocker is crafted of solid ash and is available in your choice of different finish options. 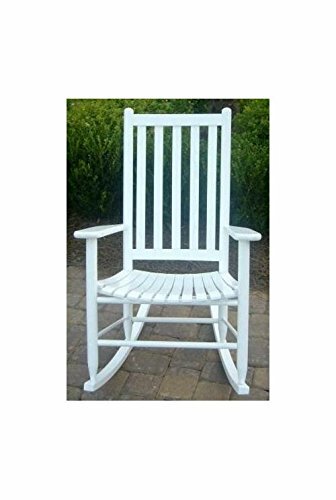 Classic indoor and outdoor standard adult slat porch rocking chair. Made of solid ash hardwood. Made in the USA. Pictured in White finish. Ready to assemble format. Minimum assembly required. Underside is unsanded. 25 in. W x 19 in. D x 40 in. H.
If you have any questions about this product by Dixie Seating Company, contact us by completing and submitting the form below. If you are looking for a specif part number, please include it with your message.